For those that have traveled via air, you have experienced the instructions at the beginning of the flight. 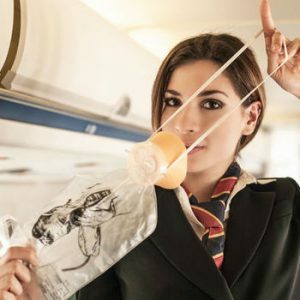 Make sure your seat belt is tightly fastened, and if in the event of loss of pressure in the cabin, make sure you put on your oxygen mask before helping others. In that split second, I wonder how many women might give in to the temptation to put on the mask of all her family members prior to putting on her own? Life can get busy and it is easy to make everything else a priority over taking care of yourself. In the process though, it will not take long before you run out of steam and feel as if you have nothing left to give. If you have difficulty answering that question, perhaps you have gotten a little lost in the shuffle? It seems many women put expectations on themselves to meet standards that truly are impossible to meet. In doing so, it begins a cycle of self-defeat. If you are finding that you are snapping a little too soon at the kids, if you feel tired all of the time even though you are getting sleep, if you can’t remember what your favorite color is, or if you feel as if you are just surviving each day by running from one event to the next, it might be time for some change. Now, there are some things that can really help that can take some time. Beginning a new workout routine, starting a new hobby, scheduling a weekend away, etc. However, the intent of this blog is to give some quick pick me up ideas. Many moms feel that the things mentioned above may as well be added to list of failures and disappointments. That is the opposite of the goal. It does not have to be a major commitment. Small steps can really help to start moving in the right direction. · Talk a quick walk. 15 minutes can really do the trick. Get some sunshine and take a minute to notice things around you that make you happy. · Go on a drive and listen to your favorite songs. Make a playlist of some songs that improve your mood. Have them on hand when you need a quick pick me up. · Chew some gum. Studies show that chewing gum has been proven to lower anxiety and improve wakefulness. While you’re at it, blow some bubbles! · Write a note to someone you care about and send it in the mail. This one will benefit your heart as well as the recipient’s. It really does not need to take much time to do something for yourself. Start small because little things can often add up to make a big difference. If it has been too long, and you find that you are weary and cannot seem to answer the question, “what do you do for fun,” remember that we are here for you. It is important to get the support you need to get back on track and not feel so burned out. Remember, you need oxygen too.